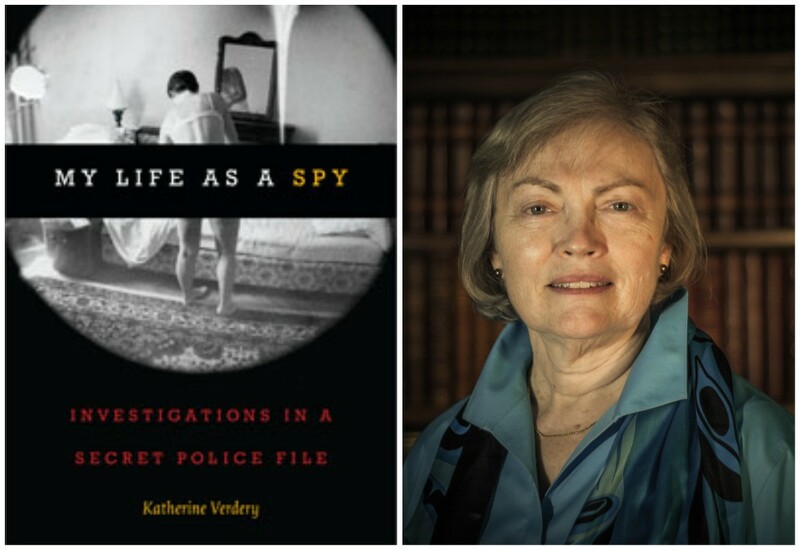 A discussion with Katherine Verdery, author of My Life as a Spy: Investigations in a Secret Police File. A Q&A and signing will follow the discussion. About the Book: As Katherine Verdery observes, "There's nothing like reading your secret police file to make you wonder who you really are." In 1973 Verdery began her doctoral fieldwork in the Transylvanian region of Romania, ruled at the time by communist dictator Nicolae Ceausescu. She returned several times over the next twenty-five years, during which time the secret police—the Securitate—compiled a massive surveillance file on her. Reading through its 2,781 pages, she learned that she was "actually" a spy, a CIA agent, a Hungarian agitator, and a friend of dissidents: in short, an enemy of Romania. In My Life as a Spy she analyzes her file alongside her original field notes and conversations with Securitate officers. Verdery also talks with some of the informers who were close friends, learning the complex circumstances that led them to report on her, and considers how fieldwork and spying can be easily confused. Part memoir, part detective story, part anthropological analysis, My Life as a Spy offers a personal account of how government surveillance worked during the Cold War and how Verdery experienced living under it. About the Author: Katherine Verdery is Julien J. Studley Faculty Scholar and Distinguished Professor of Anthropology at the Graduate Center of the City University of New York and the author of numerous books, including The Vanishing Hectare: Property and Value in Postsocialist Transylvania and Secrets and Truths: Ethnography in the Archive of Romania's Secret Police.